Spring is slowly waking up from hibernation and blessing us with intervals of delicious sunshine and fragrant greenery. London might not be the Garden of England, but it is dotted with the odd luscious green pocket of heaven and Kew Gardens is the city’s very own Eden. Make the most of that springtime buzz you’re feeling and enter to win a trip to Kew Gardens with cream tea for two! The 326 acre UNESCO World Heritage Site, features diverse plant life from around the world. Enter glasshouses and explore landscapes as you uncover 250 years of history at one of the world’s most famous gardens. When it’s time for some light refreshment simply head to the glorious Orangery for self-service cream tea for two which includes a either a scone with cream and jam or a slice of cake. Delightful. 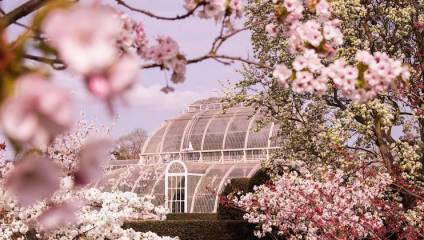 Enter below to win a trip to Kew Gardens with cream tea for two.